Since its inception this Lions event has grown year on year and has attracted some magnificent vehicles, lots of visitors and has helped to raise thousands of pounds for some very worthwhile local charities. We encourage you to bring the family along for this fun-filled day and see some magnificent classic cars, motor bikes, caravans, trucks and tractors. And why not make a day of it with the family and join in our many attractions and games, including a charity Pit Stop Challenge competition! If you are an owner of a classic vehicle we encourage you to bring it along to display to the public. We only charge A minimum charitable donation of £7 per vehicle, which also gets two people into the show. This event attracts in excess of 2,000 visitors each year – and received press coverage on the local radio, newspapers and social media sites. We have advertising packages available for local businesses to support our event, and the beneficiary charities. Please contact us for further information. 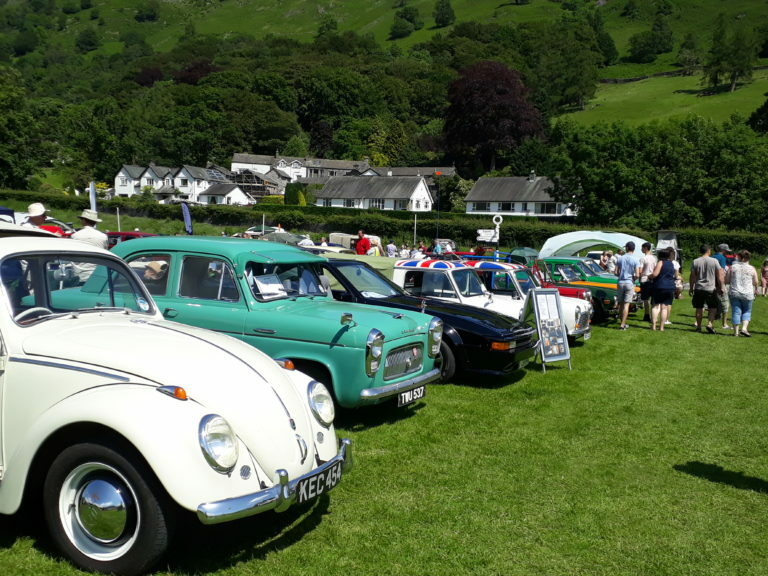 The Lakes Charity Classic Vehicle Show is organised by the Windermere & Ambleside Lions Club. All proceeds from our event are donated to worthwhile local charitable causes.